ViViPOS has partnered with Smartpay to provide integrated EFTPOS payments through your ViViPOS terminals. ​With SmartCharge you can stop paying Merchant Service Fees on your transactions. Simply pass on the cost to your customer through a minimal surcharge - you only incur costs if you choose to pay the surcharge yourself, or you don’t meet the minimum monthly credit of $10,000 per terminal*. Ka-Ching! 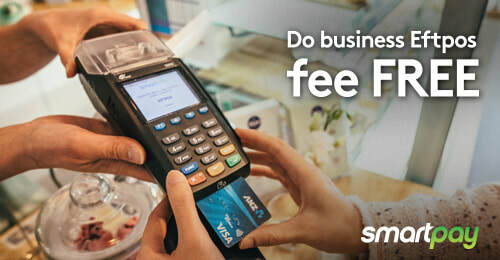 Smartpay terminals automatically calculate an appropriate surcharge for each transaction, so there’s no manual processing required. Please fill in the below form to get started!